Today I'm putting the spotlight on my favorite Youtube Beauty Gurus. These ladies have been around for a while, some longer than others, but they all became successful in their own ways. 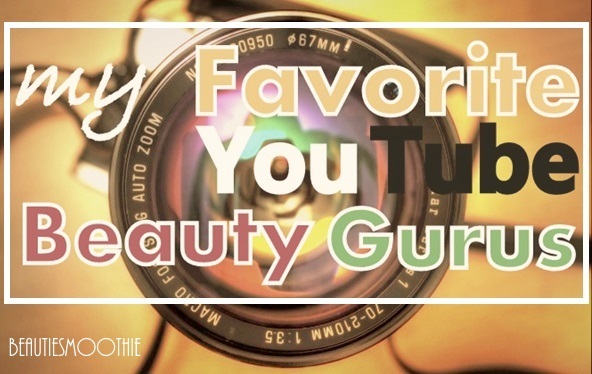 These gurus share their beauty and fashion secrets on a daily to weekly basis on Youtube. I have learned a lot of their tips and tricks and look up to each one of them for their creative videos, but also for their openness with the world to let other beauty & fashion-addict girls, like me, catch a glimpse into their personal lives and style evolutions. These are my 8 favorite Beauty Gurus (in random order)! Andrea's Choice must be one of the most creative gurus on Youtube. She started YouTube with a hair diary, after she had to cut off a large part of her damaged curly locks. But a couple of years later her hair has grown back beautifully and she kept filming the most creative makeup tutorials and DIY-videos. She even became one of the hosts on the YouTube channel "The Platform" where she deals with topics going from "Makeup To Breakups"! 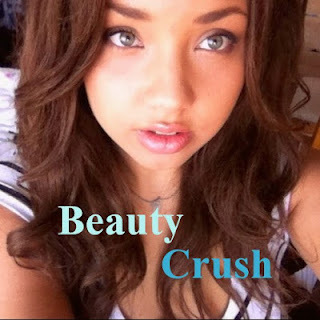 BeautyCrush is probably the YouTube guru I've been following the longest. I randomly landed on her channel after searching for a video about tattoos. After seeing this first video, I watched another one, and another one, and another one, and so on.. I thought Sammi (BeautyCrush's real name) had such a sweet personality and had a fun and feminine style. Since her first videos she has definitely grown up. Her style became less urban and more edgy with a lot of blacks and leathers. But she's not afraid to try out the latest trends which makes me look up to her. Besides her fashion tips, she also shares some of her relationship (with the equally cute Ricky from RickyRichardstv) and daily life on her vlog channel. The BritPopPrincess is next on my favorites list. 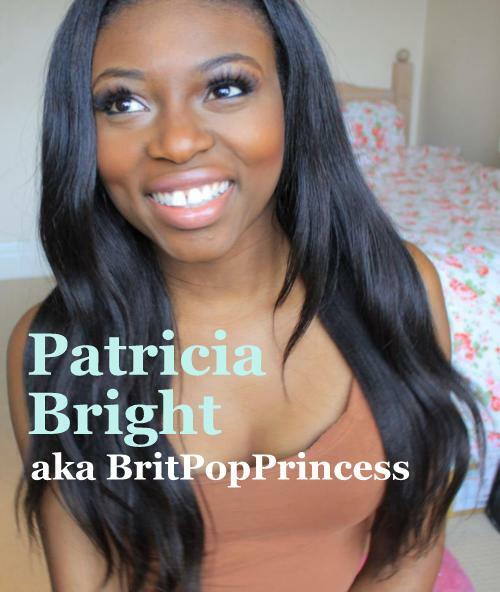 BritPopPrincess has recently changed her nickname to Patricia Bright. 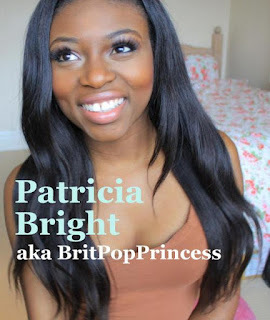 Bright isn't her real last name, but she wanted a change that suited her personality more since starting doing YouTube. And I like it. Patricia is a very inspiring and down to earth kind of girl. She loves fashion and dressing up like many other females in the world, but she keeps her feet on the ground and reminds her viewers often of what really is important in life; friends, family, health and enjoying life. A true inspiration and refreshing personality in the YouTube community. CarliBel55 creates the most incredible makeup tutorials on YouTube. She has got amazing skills when it comes to makeup and hair. Besides that she also has superb style. I love to watch her videos to learn more techniques and improve my own skills. My favorite health and fitness inspiration on YouTube must be JLovesMac1. Since I began watching her videos, she has gotten more into fitness and working out. My passion for fitness grew with hers. She has an amazing tight, lean body, but she does work hard for it! She goes to the gym 5 times a week and eats a lot of veggies and chicken (nope, still no magical pill invented to get fit in a heartbeat). She's living proof that the effort you put in, you get out. Besides motivating me to work out, she also cracks me up! She's extremely honest and funny, what makes watching her videos very addictive! 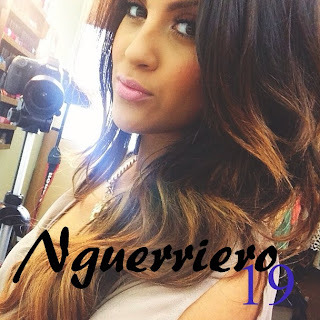 Nicole Guerriero. I will probably never say her name out loud correctly. Even now I'm probably mumbling it wrong. But her difficult name doesn't make me like her any less! To me she is the JLO of all YouTube gurus. She has amazing skills when it comes to makeup and hair. This Florida beauty also likes to experiment with her hair, from red, black, blonde, ombre, curly, wavy, straight,... she's tried it all. She's also known for wearing hair extensions, it kind of became her trademark, and she's an expert in them. I also love her pointy nails she's been rocking lately! Stephanie reminds me of a Victoria's Secret model. She's got the tan, the out of bed wavy hair and the piercing blue eyes. She's drop down gorgeous and although I love my boyfriend, I can definitely appreciate a beautiful woman! 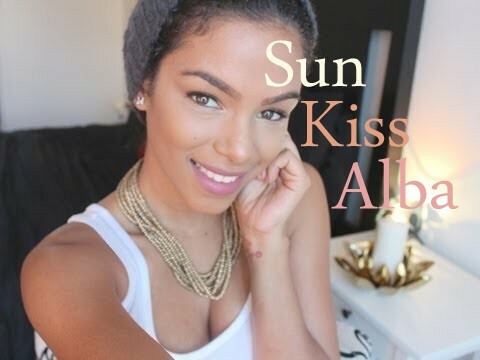 Last but not least is SunKissAlba. This gorgeous Dominicana lives life in the big city, New York City that is. She gives out a lot of tips on handling and styling curly hair. And although I don't have curly hair, I love listening to and watching this girl. She has got something very calm and nice in her voice that makes her a pleasure to watch. Plus, her (almost) jummy hubby Manny is definitely worth 10 minutes of your my too! If you're interested in watching any of my favorite gurus, just type in their nicknames in YouTube, et voila.. hundreds of hours video fun!